Mr. Hurwitz has served as CEO of Lawrence Financial Group (LFG) since its founding in Los Angeles in 1990. Since that time, Lawrence Financial has arranged more than $7 billion in financing, for companies with annual revenues ranging from $3 million to $1 billion, in a wide range of industries. Lawrence Financial has arranged financing through commercial banks, asset-based lenders, factors, mezzanine lenders, hedge funds, individuals and other sources. Prior to establishing LFG, Mr. Hurwitz served as CEO of Country Junction, a family-owned clothing retailer. In 1972, when he became CEO, the firm operated three stores with sales of $3 million. He eventually built the firm to 150 stores located in 17 states, with annual sales of $80 million, and then oversaw its sale. Mr. Hurwitz also spent a number of years on Wall Street, becoming the youngest member of the New York Stock Exchange and CEO of a member firm broker dealer. He did his undergraduate work at the University of Texas and earned an MBA with Distinction from Harvard Business School. Subsequently he was admitted into Harvard's doctoral program, and received an appointment to its teaching and research staff. Mr. Hurwitz is an active participant in the business community of Southern California. He established the California Capital Summit; was a co-founder of Business Forum International; is the founder and group leader of the Provisors Capital Markets Affinity Group; is a member of the Executive Committee of the Provisors Mergers & Acquisitions Group; and organized the CEO Round Table of the Harvard Business School Association of Orange County. For additional information, see his LinkedIn page. HAZE WALKER is a highly experienced financial professional who specializes in proving funding solutions and solving cash flow needs for small to medium business. Haze started in the banking field over 20 years ago and has transitioned into portfolio management and commercial financing solutions. Haze has developed strategic alliances and launched nationwide marketing plans in developing a strong name in the marketplace. 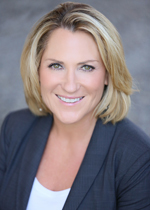 She is strategic as a leader in the commercial financing arena and prides herself in the operational, marketing, and sales efforts that she sets forth in building business. Currently, Haze has partnered with The Lawrence Financial Group and is heading up the joint venture with FSW Funding where she focuses on working with commercial accounts in financing their businesses. She consistently builds strong customer relationships, partnerships, and alliances throughout the state and country. Haze serves on the Board of Directors for Turnaround Management Association.